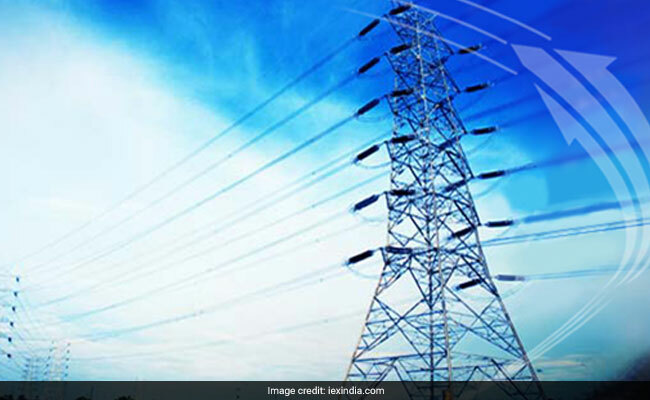 Indian Energy Exchange IPO: With more than 90 per cent market share for last five years, Indian Energy Exchange is the largest power trading exchange in India. Indian Energy Exchange IPO: The issue can be applied in lot sizes of 9 shares. Indian Energy Exchange (IEX), India's largest power trading bourse, launched the IPO on Monday and it will close on October 11, today. The Rs 1,000 crore IPO will give IEX a valuation of nearly Rs 5,000 crore. Priced in a band of Rs 1,645-Rs 1,650, the IPO can be applied in lot sizes of 9 shares. The company has raised Rs 300 crore from 23 anchor investors ahead of the IPO. The issue was subscribed 1.88 times as of 3:45 pm today. 1) Indian Energy Exchange or IEX IPO is purely an offer for sale, through which its existing investors like Tata Power and Multiples Private Equity are selling part of their stake. They currently hold 4.34 per cent and 13.3 per cent stake in the company respectively. Indian Energy Exchange is a professionally managed company with no promoter group or subsidiaries. 2) With more than 90 per cent market share for last five years, Indian Energy Exchange is the largest power trading exchange in India. Its primary revenue is the charge of Rs 20 per mWh on traded volume on the exchange. It also earns interest income from interest free security deposit collected from its members. Indian Energy Exchange IPO (IEX IPO) offers four different products: renewable energy certificates (REC), day ahead market (DAM), term ahead market (TAM), Energy savings certificates (ESCerts). 3) As of March 31, 2017, only 3.6 per cent of power generated in India was traded on exchanges compared to 30-70 per cent for global power markets, which offers significant growth potential for Indian Energy Exchange, says Angel Broking. IEX has steadily gained market share due to its superior execution, cost optimization and transparent price discovery. Electricity on IEX typically trades at a lower price than the bilateral price (Rs 2.5 per kWh on IEX compared to Rs 3.5 per kWh bilateral price in FY17). 4) Indian Energy Exchange had reported a net profit of Rs 114 crore on revenues of Rs 204 crore in FY17. Except in FY15, its revenue and net profits have witnessed steady growth. The company has a return on equity (RoE) of 30.8 per cent compared to 7.4 per cent for Multi Commodity Exchange (MCX). The company has maintained a dividend payout ratio of over 50 per cent since FY15. "Given the extremely low level of capital required to run the business, it is quite likely that the company would keep dividend payout as per its historical level," says Angel Broking. 5) At the upper end of the price band, Indian Energy Exchange shares are priced at 40.9 times its FY18 annualized earnings per share, compared to 51.5 times for Multi Commodity Exchange, said Angel Broking. The Brokerage has a "subscribe" rating on the issue for a mid-to-long term period. Regulatory control on pricing and competition are key risks in the business of IEX, say analysts.